Thanks! saved my weekend. 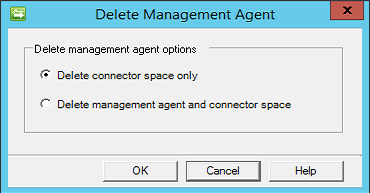 Migrating from SBS2003 to Office 365 with dirsync using CloudMigrator365 and stumbled into this one. After i did all this and ran a full sync, every user already synced to the cloud was deleted, and DirSync no longer syncs anything. What could possibly went wrong? This sounds very strange, these actions will never have the effect that all users are deleted. I suggest that you restore the users from the recycle bin, and then install the lastest version of Azure AD Sync instead. 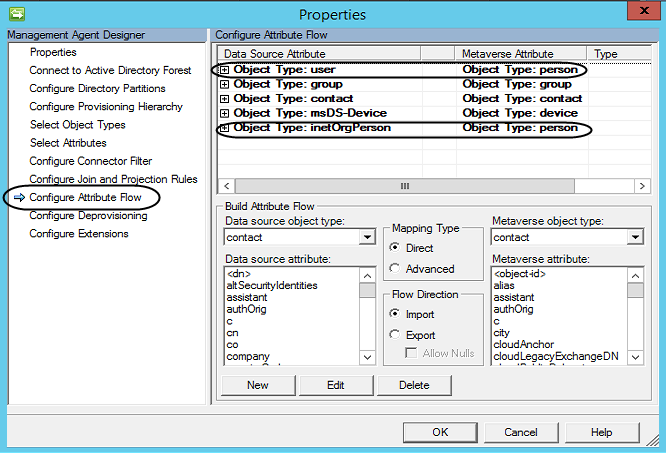 Azure AD Sync was released after this blog post was written, and has this type of functionality built in. 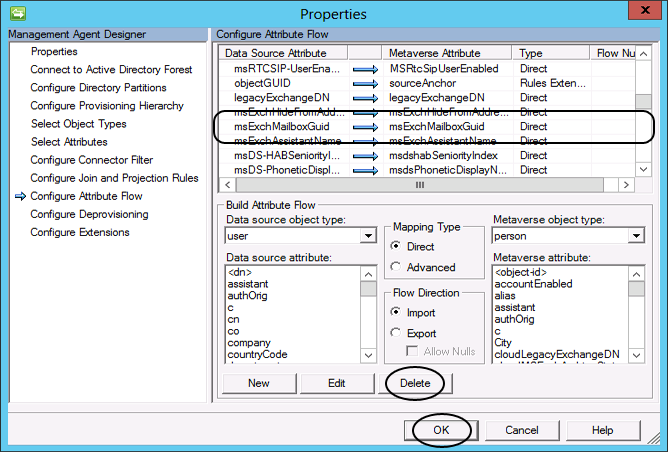 When installing you can select the set of attributes to be synced, and then msExchMailboxGuid can be excluded. This is done on the Optional features page in the setup guide, where Azure AD app and attribute filtering can be selected. 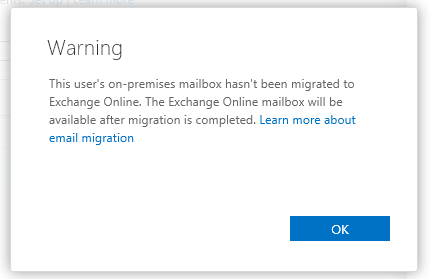 This also happened to me – synced users in cloud were deleted and DirSync no longer “exports” any users to the cloud. Using latest DirSync version 1.0.7020.0. Follow with caution! Thanks for the information. I have added information in the beginning of the blog post to point out in what scenarios this blog post is valid. Hi, the problem reported that it deletes the users from AzureAD after deleting the connector space and syncing is because you did a DeltaSync and not an InitialSync. Thanks for pointing this out. It is also mentioned in the blog post.